Painting is a very popular past-time, not only for some Villagers, but for many visitors. There are plenty of quite secluded spots about the Village and Pass that have inspirational views or subjects. 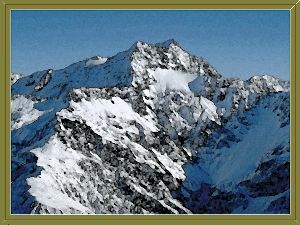 Subject matters can range from awesome mountain scenery to bach portraits and wildflowers, with techniques such as pencil sketches to water-colours or oil paints being common. And if the talent is not yours, pay a visit to Oscar's Haus to view work by local artists, as it is displayed there permanently. Jan Blythe of Avoca House invites you to come and visit her studio at Avoca House in Castle Hill Village to view quilting and patchwork fabrics or silks. Please ring ahead (03 318 7620) to make sure she will be available. Jan is happy to show you her work or to run half day or day workshops if you wish to know how to hand dye fabrics. Bead & Breakfast style accommodation is also available. Located 45km east of Arthur's Pass at Castle Hill Village on SH.73.